Meanwhile in Italy, they’re still practicing the timeworn art of making beautiful things that command exorbitant sums of money. 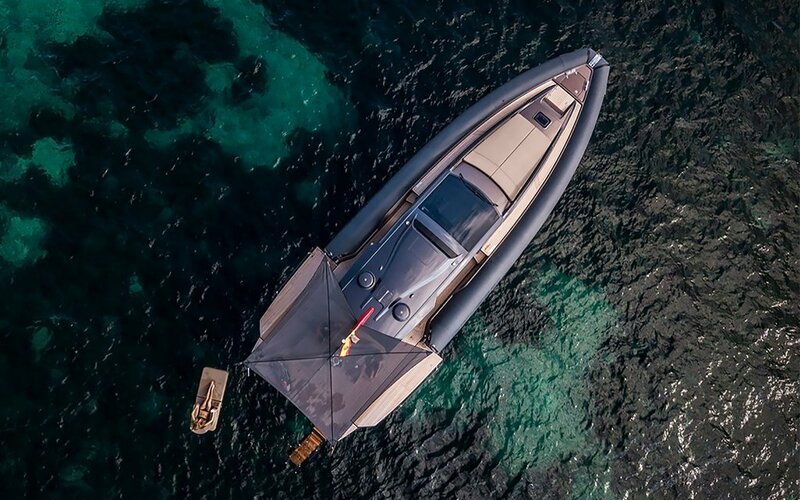 More than 10 years of research and design experience went into the superyacht tender Anvera 48, which made its global debut this spring. The sharp, high-speed crossover can carry up to 16 passengers. Where’s everyone gonna go, you ask? 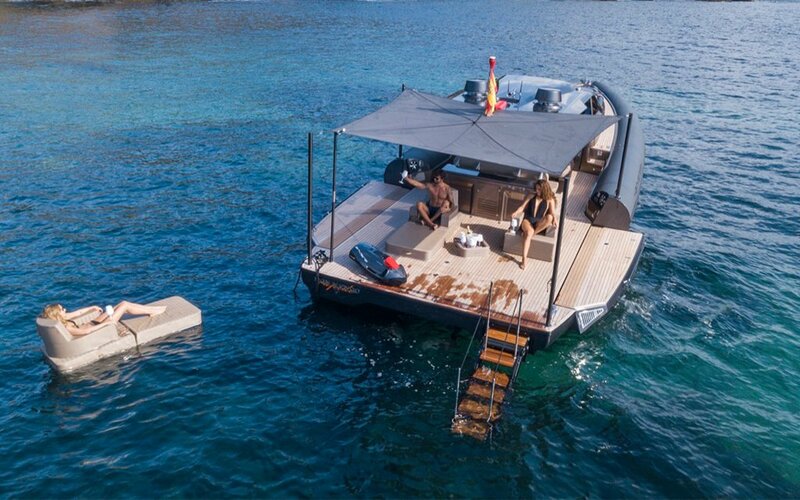 There’s an impressive 200+ square feet of lounging deck space (which is entirely level, mind you), thanks in part to rear panels that fold down and expand, thus creating what they call a “beach area” with a wide swimming platform, much like you’d expect to see on a much, much bigger yacht. You’ll also note the lack of a transom commonly seen on tenders, which adds a further degree of openness to the space. The lightweight yacht tender was imagined by Anvera designer Aldo Drudi, who wanted it to resemble a dolphin diving in and out of the waves. 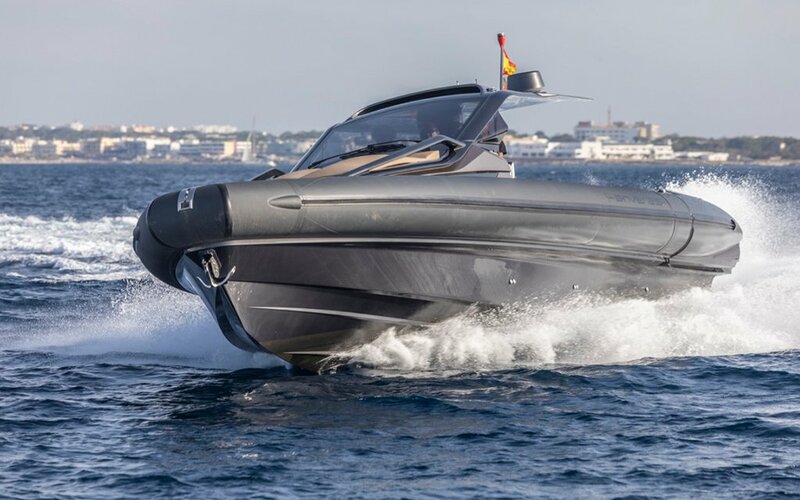 The carbon-fiber hull is both hydro- and aerodynamic, depending on where the craft is at. 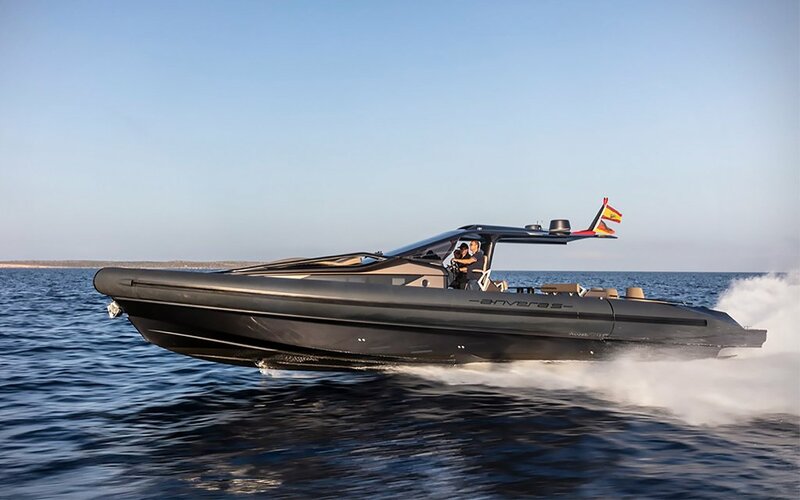 Because it’s so lightweight, it doesn’t need a ton of juice to send you skidding across the sea, with the option to outfit it with either twin 370-hp or twin 550-hp engines. There’s enough space in the tank for 370 gallons of fuel. Down below, you’ll find both a stateroom and a nicer bathroom than most apartments offer. 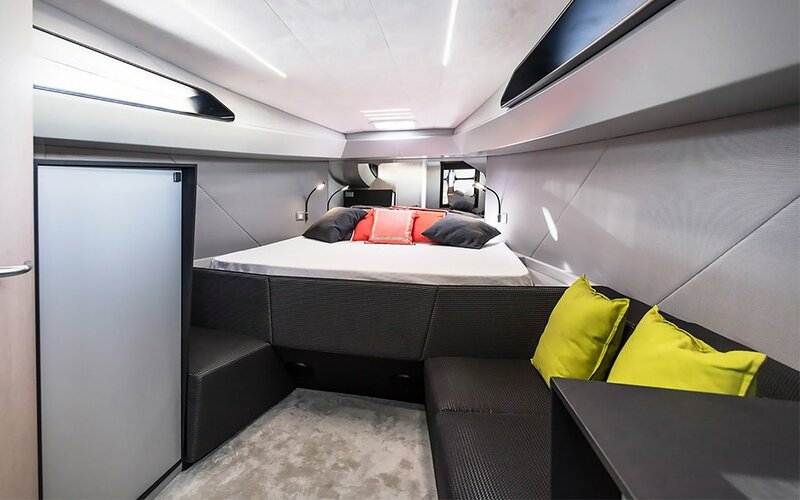 And between the bed and sofa benches, there’s space to sleep you and 15 of your closest pals. Maybe if the lot of you go in on it together you can swing the $812,000 starter price. Anvera 48 will next be on display at the Cannes Yachting Festival from September 11-16, 2018, at stand PAN 067. Its predecessor, the Anvera 55, debuted last year in Miami.